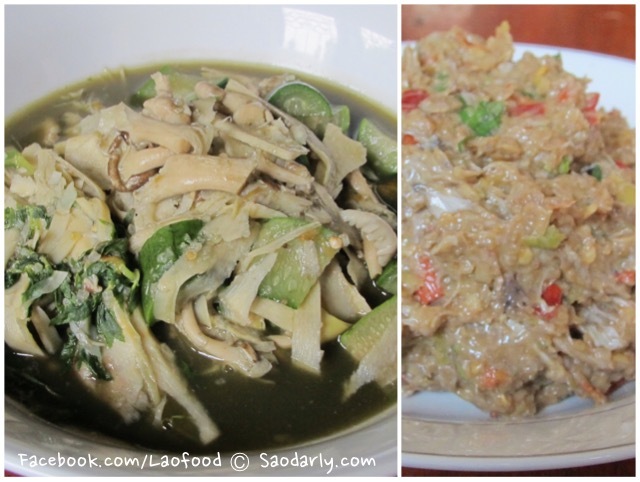 Bamboo Shoot Soup (Kaeng Nor Mai) and Fermented Fish Sauce Dip (Jeow Padaek) for dinner in Vientiane, Laos. 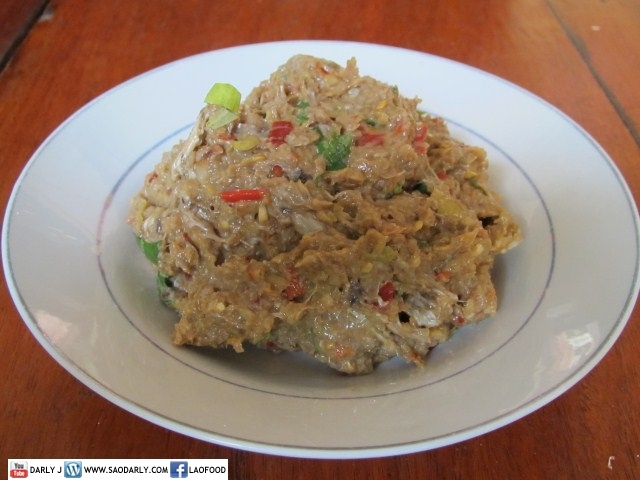 Aunt Kian didn’t used fish or meat in the Kaeng Nor Mai. 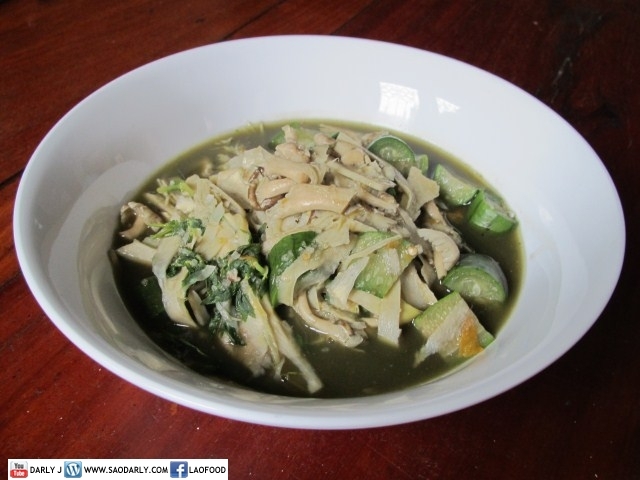 She added plenty of mushroom and sponge gourd to the thinly sliced fresh bamboo shoots. While Aunt Kian was busy making the Bamboo Shoot Soup, Aunt Phone was making Jeow Padek or Fermented Fish Sauce Dip to go with the soup. It was a nice dinner for everyone with warm sticky rice to dip in the dipping sauce between a spoonful of Kaeng Nor Mai.